Many problems have occurred in modern society in Japan. For example, issues in human relations continue to increase. It is considered that the problems of NEET, hikikomori, and kodokushi are also social problems in Japan. These social problems is called “muen shakai”. This represents one side of Japanese society which single-person household increases, and the relationship between people is becoming weak. 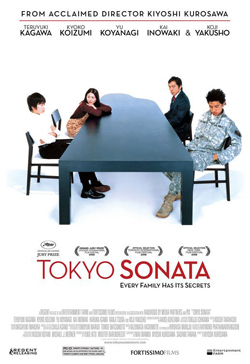 In the movie Tokyo Sonata, muen shakai was drawn heavily in the ordinary nuclear family. By Ryuhei (father) losing his jobs, family relationships begin changing. Someone else of his family start having a secret from each other. And because they no longer speak to each other, family relationships go thinner. In modern society in which relationships with family and the neighbor is very weak, we would have become not to know if we do not speak to each other whether who, when, where, and what we are. The severity of the present employment was expressed with the scene in which he hunts for a job. He lost one of his ibasho and his social position. It is not necessarily that everyone is able to do they work they want. Like Ryuhei, by losing their jobs suddenly, some people work in non-regular employment. Non-regular employment is unstable and has lower income compared to regular employment. But there are problems with regular employment. For example, karoshi. As a result of being forced to work without holidays and long overtime, in the mental and physical burden, workers succumb to death from sudden cerebral hemorrhage or heart attack. Even when death did not come from overwork, some people are driven to suicide by the stress and pressure. I think in order to prevent suicide, it is necessary for their mental health to be supported by the power of family. It is also considered that support of the Japanese government becomes necessary in economic terms. When I saw this movie, I wondered not that we have to care about our appearance and views like Ryuhei did, and that should not be put off the idea and feelings of family. The family woke up little by little in the end, and it went toward a good direction in this movie, but some families can lead to divorce once they no longer go well. I think that it needs communication, having common understanding of what is important for them, and making an effort to build relationships each other before the relationship is broken. In this blog post, I would like to write about what I felt and thought through reading Allison’s book, and show what I hope for my future. In Japanese society, we have a lot of inequality. Employment conditions are different between men and women. Different names are given to workers depending on their situation; sarari-man, furi-ta, NEET, kasha ningen, and so on. The working style has changed from life-long jobs and a family-based model to a more flexible and unstable model. Because of fast-aging Japanese society, younger generations are not sure how much welfare pension insurance they will be able to receive. Despite the fact that we are flowing in a precarious and unequal age, one thing which is equally given to everyone is “time”. Whether you are rich or poor, you have 24 hours each day. However, as I go on reading, I thought even “time” is eaten by someone in this society. For example, company men (kaisha ningen), who work too much and devote their personal time like evening, weekends, and leisure time to their company, seem to live their time less. In addition, according to Asahi newspaper (2014, April 28), Japanese female high school students spend 6.4 hours on average using a smart phone each day (this number is three times as much as that of seven years ago). They are facing its small screen for one-fourth of a day. 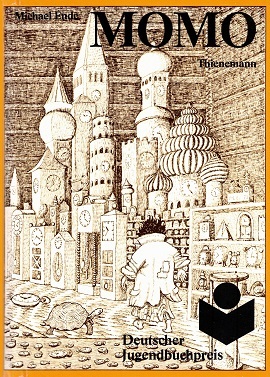 I feel it is becoming true what happened in “Momo,” written by Michael Ende; the grey gentlemen steals the time of humans. When I think about myself, I can say that I am living my time. I am studying what I want to, and I have friends and family, whom I feel comfortable being with. Therefore, I feel it can be said that having your time is often related to being at ibasho. Abe (2011) says that ibasho is a lifeline (inochi-zuna) to maintain people’s lives, and people who you trust in are there. When you imagine your ibasho, you should come up with several places or spaces. You may imagine your family, school, working place, your room or favorite café. Abe (2011) indicates this shows that you have various kinds of “you”, and “you” differ depending on ibasho. He also says that you are consisted of multifaceted “you” and supported by ibasho, maintaining your life in relationship with other people. ibasho would be my lifeline to survive this age. Abe. 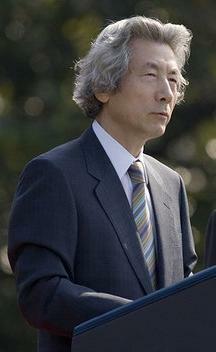 M. (2011). Ibasho no shakaigaku [Sociology of Ibasho]. Japan. Nihon Keizai shinbun press. Allison. A. (2013) Precarious Japan. Duke University Press. Tenohira no sumaho [Smart phone on the palm] (2014.April 28). Asahi newspaper. I want to be a high school teacher after I graduate from the university. This is because I like children, and teachers are public workers. There are good points to be a public worker. First, the income is stable, and I can earn enough money to support my family. Second, public workers are seldom fired. In addition, there is little danger to go bankrupt like a company. These points are very important in choosing work in recent Japan. Allison said that now in Japan, the number of non-regular workers, such as dispatched workers or part-timer, is increasing, and one-third of all workers are non-regular. They work for low wages, and they are the first ones dismissed in bad times. In addition, Japan has social problems such as NEET and hikikomori. People who are hikikomori become NEET (not employed, in education, or in training) because they do not work and, seldom go out. Many people who are hikikomori are young, and some people start being hikikomori when they are students. Bullying sometimes causes truancy, and it can cause hikikomori. Bullying sometimes causes even suicide, sadly. If I can become a teacher, I will make effort to obviate bullying, and I want to help the children come to school. By the way, I want to marry, and give birth to a child in the future. I will need to take maternity leave. As public workers, teachers can take maternity leave for a year, but at many general companies, people take it for a shorter period. At some companies, a pregnant woman has no choice but to resign from her job. Now a father can also take it but, there are few people who do so. I think it is what’s wrong with Japan, and compared with other developed countries, Japanese social welfare is very underdeveloped. Women’s rehabilitation is also the same. There are many people who cannot return to their work and work as a part-time workers. I want to balance my work and parenting. 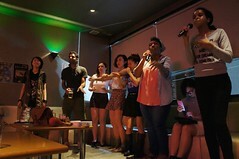 In conclusion, I feel anxious living in precarious Japan. Japan has a lot of social problems. I want to be a public worker, but I do not think this is the best way. I do so in search of stability and welfare, however one person may seek freedom rather than security. I think many people are restricted in their choice about the way to live because of Japanese society.